Probiotics are well-known to be essential to take care of health. It helps caring for intestinal health. This is good not only for constipation, but also for skins and immunity because intestine contains over 70% immune cells. In addition, it contains body’s serotonin which involves in emotion and memorizing ability. The global probiotics market was valued at approximately 40 billion dollars in 2017 and is expected to grow steadily. However, if you are a wise consumer, you must be careful choosing the right product. 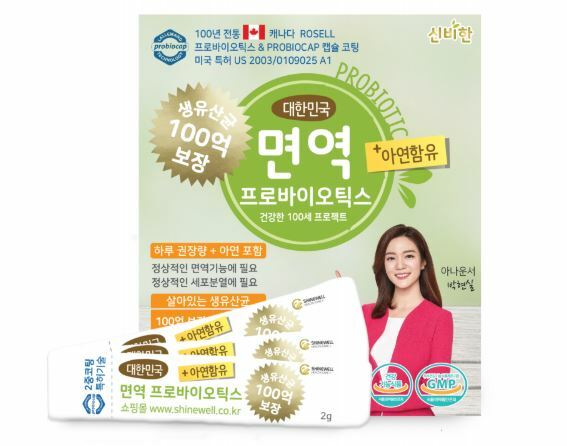 Many probiotics products emphasizes the number of live cultures it contains. We need to consider more importantly that how many percent of live cultures are actually reaching intestine to populate themselves. Because some portion of live cultures in the product fails to reach intestine which means no benefits to body. 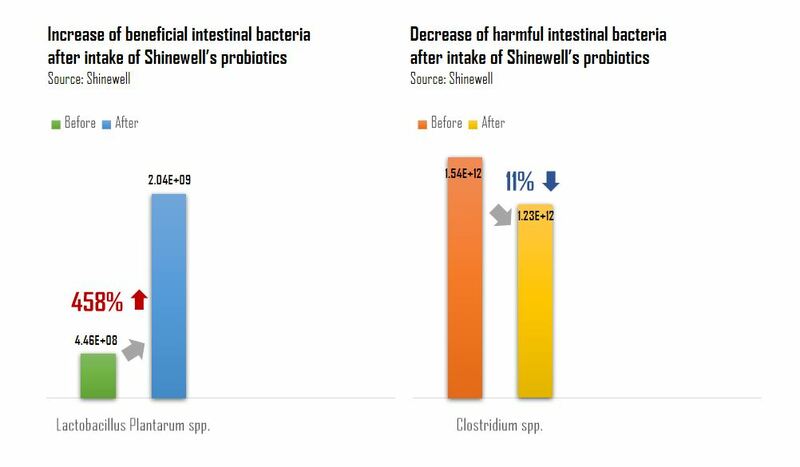 Unlike the others, Shinewell, a rising probiotics company, emphasizes how much live cultures reach intestine well rather than the number of it included in the product. It succeeded to increase the reach of live cultures by adding Ecklonia Cava extracts into the product. Through experiments, there were significant increase in some beneficial intestinal bacteria such as Bifidobacterium, found to be effective treatment for some types of inflammatory bowel disease, by 112%, Lctobacillus, a significant component of the microbiota, by 96% and Lactobacillus plantarum, helps antioxidant activities and maintain the intestinal permeability, by 458% respectively. These are beneficial intestinal bacteria that the more the better. On the other hand, Clostridiumm that includes several significant human pathogens decrease by 11% after the eight weeks of eating the product. 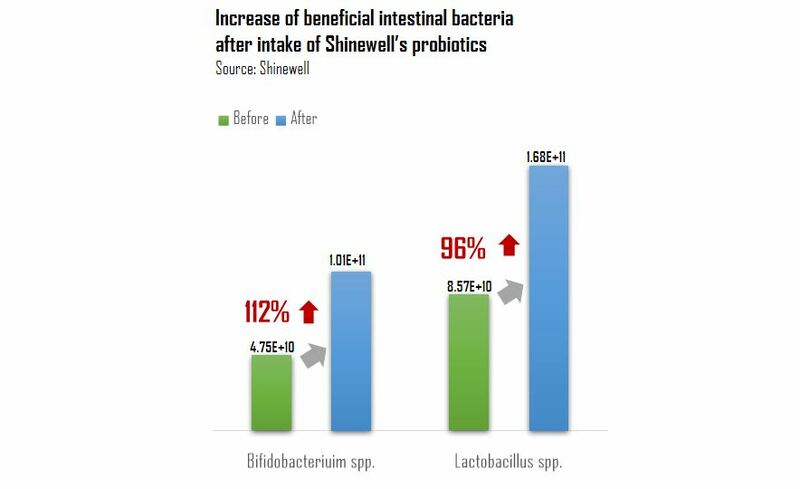 This is why Shinewell deserves trust among the other probiotics products.